At CCCI, Mr. Sutton primarily conducts surveys for special-status wildlife species. Through fifteen years volunteering for the California Department of Fish and Wildlife, and the Bureau of Land Management, Mr. Sutton gained extensive experience with limestone salamanders, and surveyed for vernal pool fairy shrimp, vernal pool tadpole shrimp, California tiger salamanders, Lahontan cutthroat trout, California roach, western spadefoots, California red-legged frogs, foothill yellow-legged frogs, and Sierra Nevada yellow-legged frogs. 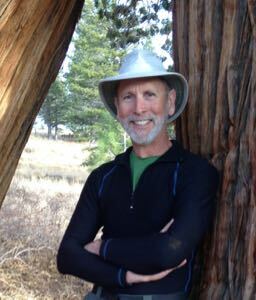 He also has a wealth of experience night-kayaking in the Stockton Delta, and travels throughout California to remote regions in search of amphibians and reptiles. Consequently, he is quite proficient with GPS and topographical maps. Earning a single subject life science credential, Mr. Sutton taught science for twenty-three years, most recently as a high school biology teacher in the Manteca Unified School District. During his time as an educator, he assembled and maintained a living collection of over sixty-five different species and subspecies of native California amphibians and reptiles. Mr. Sutton continues to conduct herpetological presentations at campgrounds, parks, and other public venues in central California. Earlier in his career, as vice president of a construction company, Mr. Sutton coordinated all phases of large scale agricultural construction projects, from bidding to completion.